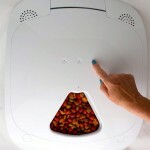 Petmate Infinity Automatic Cat Feeder Review - Is It Suitable For Your Cat? The Petmate Infinity is a popular cat food dispenser so I decided to make a review for this product and give you good information if you want to buy one for your cat. 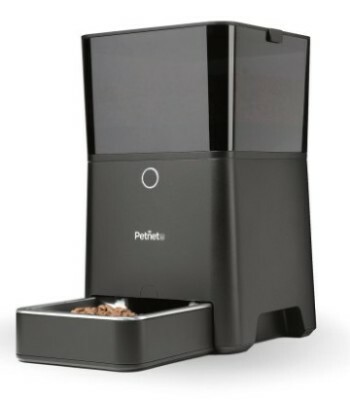 Petmate Infinity is a programmable feeder with the ability to dispense from 1 up to 3 times a day. 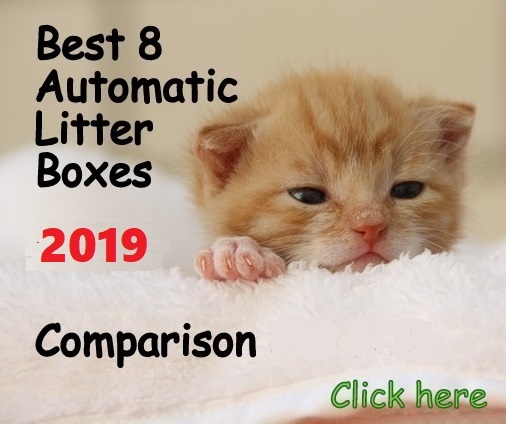 For example, you can program 3 meals to feed your cat breakfast, lunch and dinner or simply skip one of the meals if you want your cat to eat less. 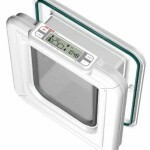 With a large and easy to read LCD screen and built-in meal counter, the programming is much easier than before. The Petmate Infinity dispenses from ¼ cup up to 2 cups dry food and the accuracy of the portions will depend on the kibble size. 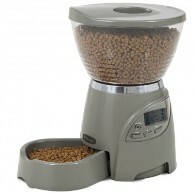 The unit has a large total capacity of 5 lb dry food (hopper holds 4.2 lbs and the bowl holds 0.8 lbs). The food bowl is removable but strongly attached to the base, preventing accidents. 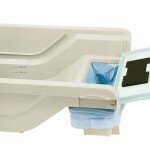 The Infinity feeder is not weatherproof so it’s not recommended for outdoor use, only indoor. The new Infinity versions are only battery operated. Programmable to dispense up to 3 meals by day. You choose a specific time for each meal, no default times. Portion sizes from 1/4 cup up to 2 cups. A twist-lock lid to keep the food fresh and secure. Removable bowl for easy cleaning. It requires 3 D size batteries (not included). What are the Pros and Cons of the Petmate Infinity? It holds a big amount of food at once. You have the ability to set the meal to be on or off. This feeder does not make much noise. Not accurate portions if using small pellet size (1/4” diameter or less). Dispensing is not reliable if the hopper has low food level. Cats could reach extra food from the chute using their paws. The new version is only battery operated. The minimum to dispense is 1/4 cup and if the kibble size is small the 1/4 cup becomes more like 1/2 cup, not good if you feed your cat two or three times a day. This automatic feeder is more suitable for dogs than cats because some cats can outsmart the feeder, reaching food with their paws. 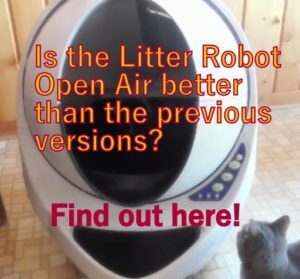 According to some customer reviews, the unit is not very accurate in dispensing portions for cats, so it may not work well if you have your cat on a diet or if your cat needs a very accurate feeding schedule. 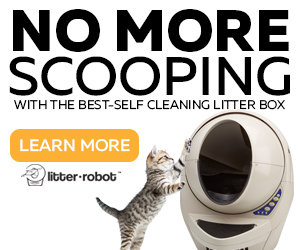 So if you strictly want to control your cat’s food intake or if you want a sturdy feeder, maybe this unit won’t be on top of the list. If you feed a very active large cat 1 or 2 times a day. 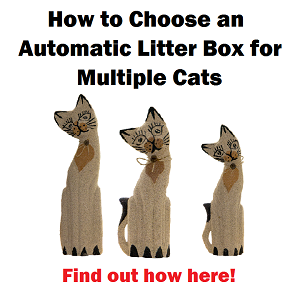 If you want to feed multiple cats. If your cat is not obsessed with food. 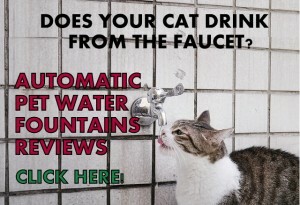 If you don’t have your cat on a diet or if you don’t need an exact feeding schedule for your pet. If you feed your cat small size pellet (1/4″ diameter or less) and you want the best accuracy in the portions. If your cat is on a diet and you want your pet to eat 3 Oz. 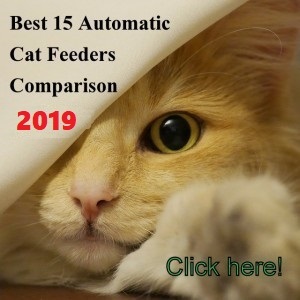 dry food per day (or less) and you want to feed your cat 3 times a day, I recommend you to check the CSF-3 Super Feeder or the Pet Feedster. NOTE: Petmate changed their version “Infinity” to a new design. The new version works the same than the previous version. I have had our older version for about 2 years to limit our beagle’s intake. They will eat themselves to death if allowed. I really like the IDEA of this feeder and it is so convenient, but sometimes it just doesn’t work. I have never had trouble with it spontaneously spitting out food. What I find is that sometimes at feeding time I will hear the motor turn on, but no rotation and dispensing. As a result I just don’t trust it, although we do leave the dog for a day or so with someone looking in on her. There is a meal counter, but the entire display is very awkward to see and keep track of. I wish they would make this a better product. And for the record, I wouldn’t have bought it if it ran only on battery–again for reliability. Heidi, thanks for sharing your experience. How many weeks can food stay in bowel of we went on a cruise for one week. This automatic feeder is terrible. Mine malfunctioned within the first two times I used it. The feeder totally ejected all the food out at once even though it was programmed for 1/4 cup portions. It shot into my kittens eye. She cried in pain. I took her to the vet who diagnosed that she had a torn cornea from the food in her eye. She was on pain meds and antibiotic meds for 3 weeks. Upon recheck she still has not healed completely. Do not buy the awful feeder. Oh my goodness Alice! that’s a terrible experience. I am sure your unit was defective if malfunctioned the first two times you used it. I totally thank you for sharing with us your bad experience with this feeder so people can choose with more information. 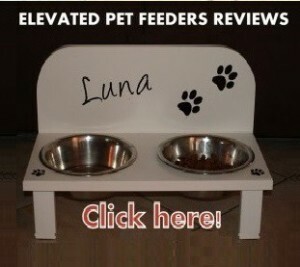 Some people like this feeder but other people have not had a good experience with it. Thanks again! We bought this hoping for a nice feeding solution for our cats. However, it has proven less than reliable. The smallest portion size is too large, even for two cats, and it’s not very sturdy. One of our cats has figured out how to jimmy out extra food. Many times, especially recently, the unit dispenses food until the bowl overflows. Now they want to make it battery powered only? Bad design, and poor construction. Thumbs down. Our pets, and probably yours, deserve better. Thanks for sharing your experience with us Robert.